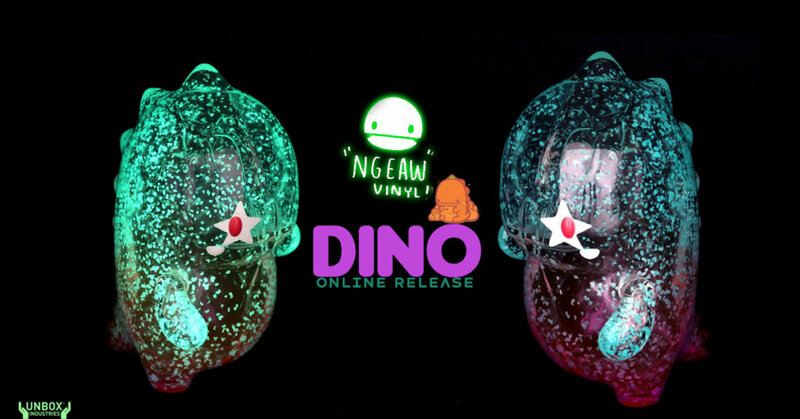 Unbox Industries are thrilled to offer an allocation of this special release edition of Thailand based artist Pang Ngaew’s super cute dinosaur. This particular version was produced for the recent UNBOX GLOW SHOW Event. Unbox Industries had to make sure our international customers also have the opportunity to obtain one and this weekend will be your chance.